VIEWS VIEWS VIEWS! 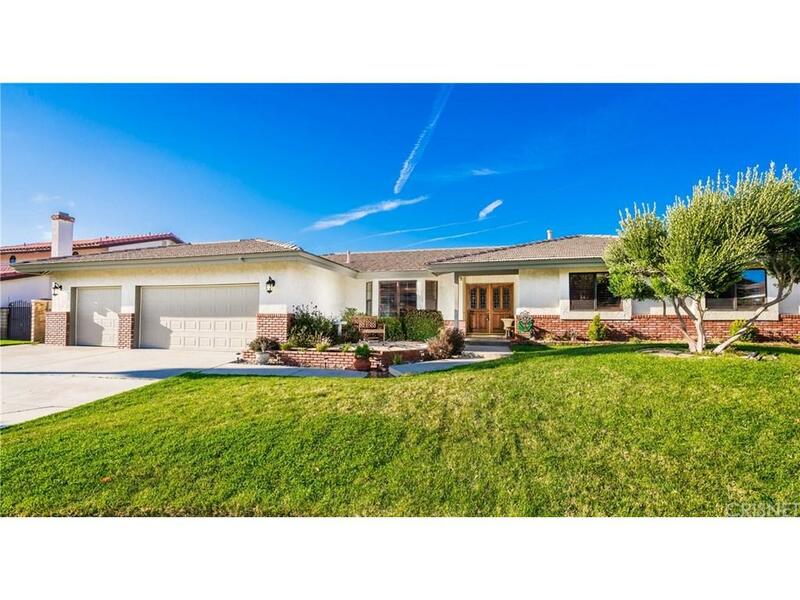 Beautiful custom built home in the Godde Terrace Estates in West Palmdale. This 4 bedrooms, 2.5 bathrooms move in ready home features, double front entry door with an open concept, large kitchen with brand new kicthen granite counter tops with stainless steel appliances, open wood beams in the family room, engineered hardwood floors, Wood French Doors that lead to the beautiful backyard with amazing views of the valley, brand new Ceramic wood tile in the master bathroom, new counter granite tops in both restrooms, new updated tile in quest shower, plantation shutters through out, walk in pantry, access to the back yard from the master large covered patio, custom built shed for all your tools, whole exterior freshly repainted,3 car garage and much more. Sold by Christie Limpus BRE#01851628 of Berkshire Hathaway Homeservice. Listing provided courtesy of Shane Cabrera DRE#01851628 of Keller Williams Vip Properties and Andres Ramos CA DRE# 01956344 of .